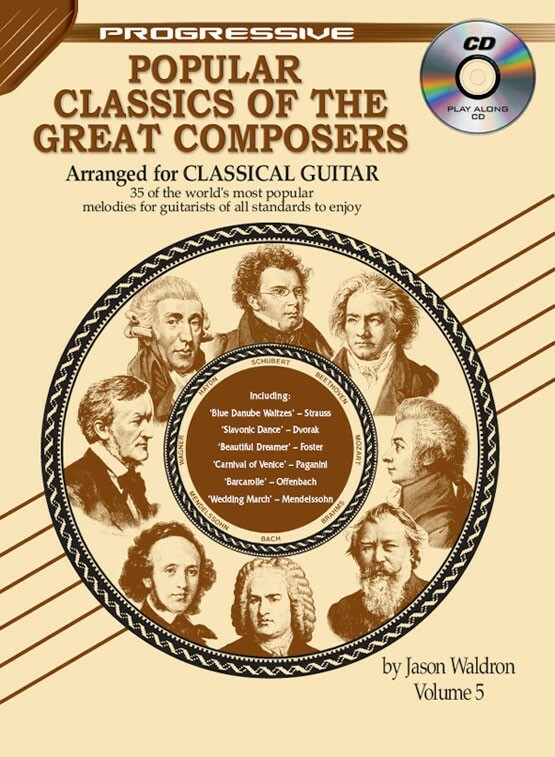 Contains another 35 of the world's most popular melodies by the greatest classical composers of all time. 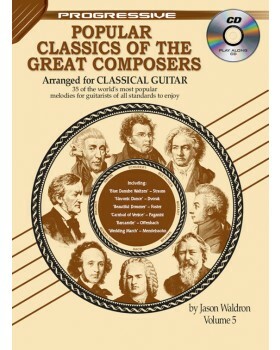 Arranged brilliantly for classical guitar by Jason Waldron. Pieces include: 'Blue Danube Waltzes', 'Beautiful Dreamer', 'Carnival of Venice', 'Wedding March' and many more. The book will give students and teachers alike an excellent performance repertoire ranging from very easy to intermediate level. Good choice Review by P. Kelley "Gram"